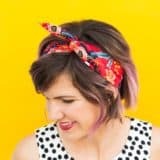 Have you ever fallen so completely in love with a particular pattern, colour, or finish that you can’t help wanting to make every single DIY project you tackle in that period themed after that thing, cover your whole house with it, or overhaul your closet almost entirely in pieces that add it to your ensemble? 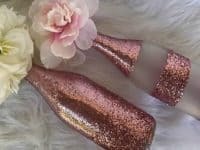 If you’re answer is yes, then you already know exactly how we’ve been feeling about rose gold lately! That’s why we’ve had our eyes peeled for as many rose gold themed projects and crafting ideas we can possibly get our hands on. 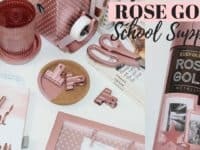 Just in case you love the idea of getting creative with rose gold just as much as we do, if not more, here are 15 of the very best designs that we’ve come across so far in our search for inspiration and info! Are you the kind of person who enjoys subtle detail and doesn’t always feel the need to have your favourite finish splashed across entire surfaces or featured like a standout piece in the centre of the room? 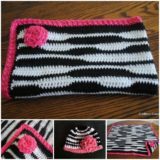 In that case, Damask Love might just have the perfect tutorial for you right off the bat! 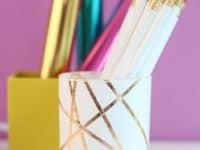 Check out how they made a lovely pencil holder using some simple rose gold foil techniques. 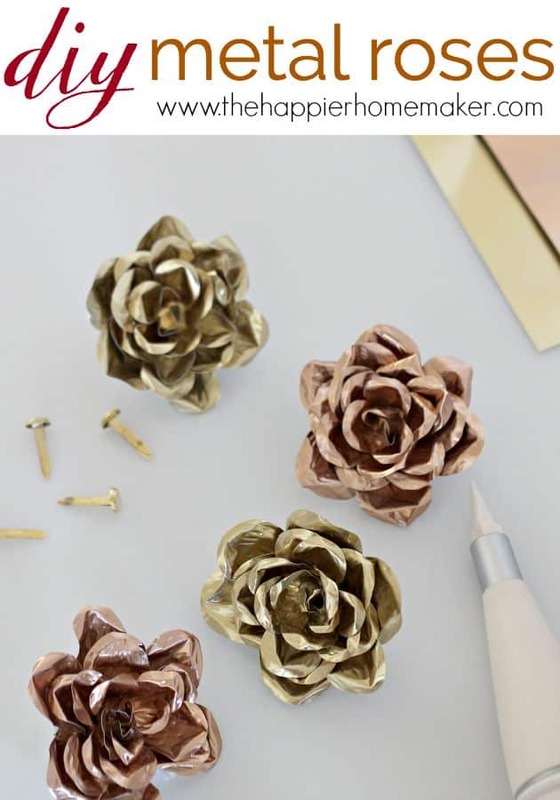 Do you love the idea of making a metallic looking rose gold project but you’re just not sure that foiling techniques are quite the kind of project you’re going for? 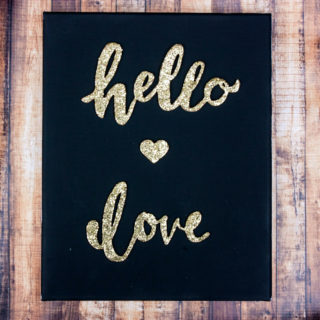 Well, luckily for all of us, the foil isn’t actually the only thing that will give you that pretty rose gold shine. 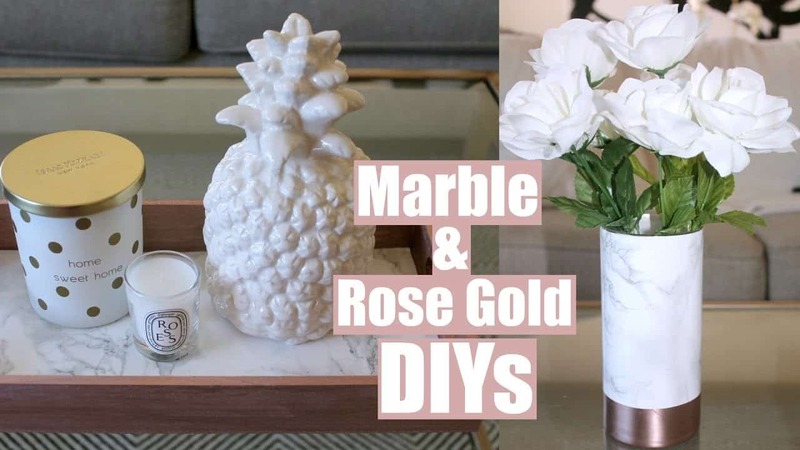 Take a look at how Kas Styles got the effect in more coverage by painting clean mason jars with metallic rose gold paint to make pretty vase centrepieces. 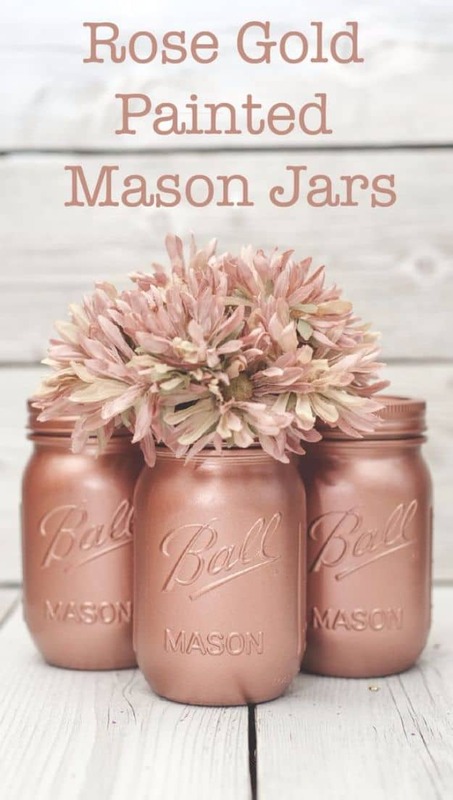 Here’s another metallic rose gold paint idea, just in case you love the concept but you just don’t think the painted mason jar concept is really the one for you! 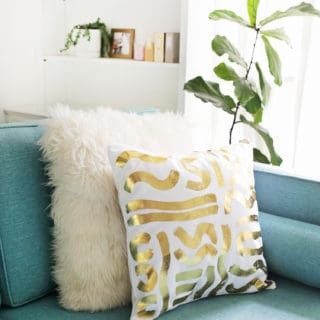 Instead, check out how Modern Glam used some paint dipping techniques to add a cleanly lined section of colour for a dual toned look rather than just painting solidly with a brush all over. 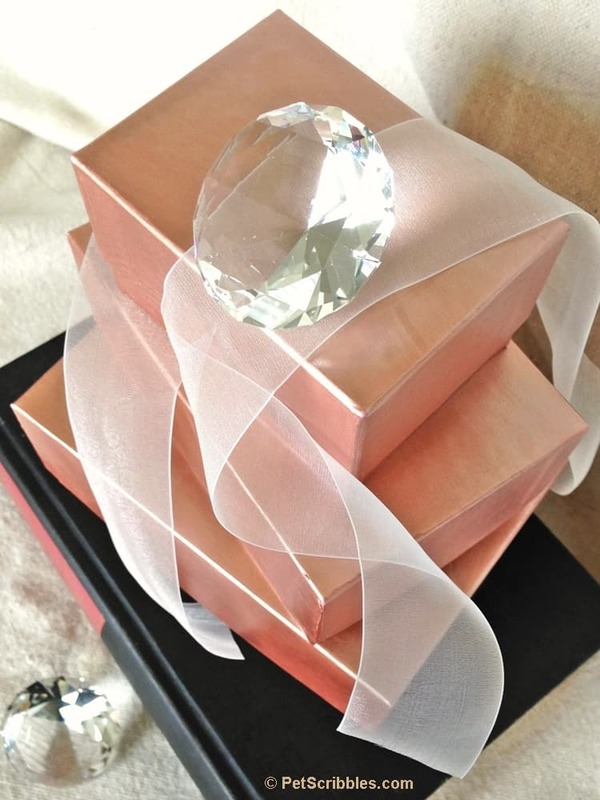 Mason jars aren’t the only thing you can upcycle into pretty rose gold centre pieces! 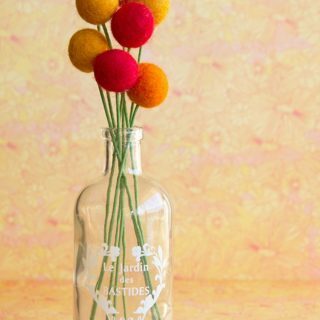 Wine lovers rejoice, because there’s a whole world out there for repurposing empty wine bottles too. 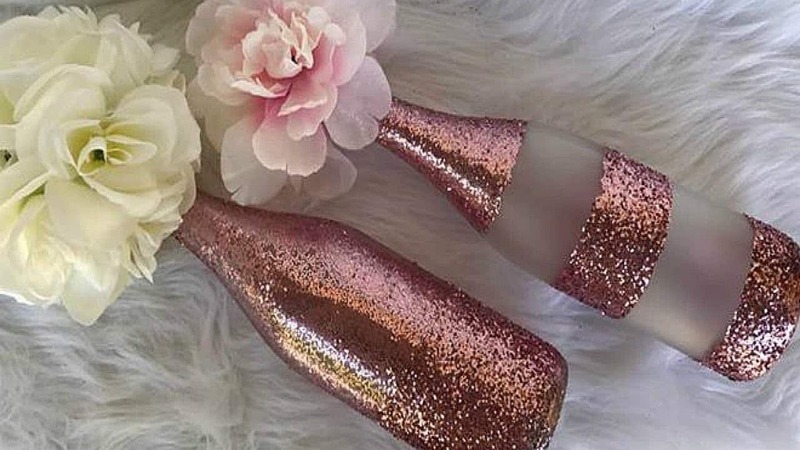 We love the way Same Chick, Different Day did so with theirs by either fully or partially, and in pattern, covering the surface of their bottles in stunning rose gold glitter. 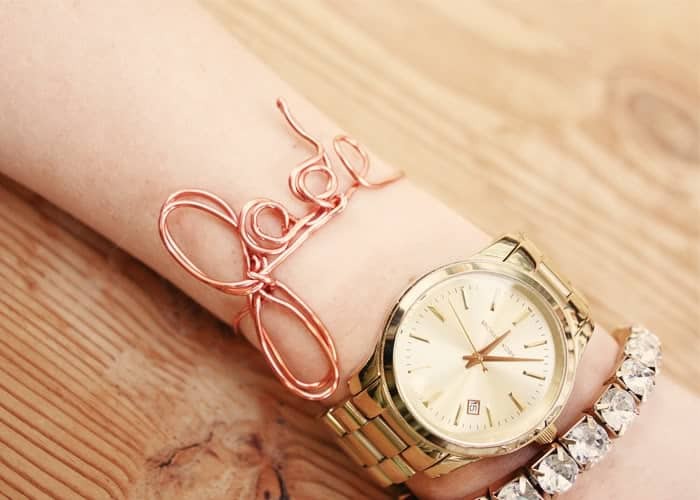 Are you actually such a huge fan of rose gold that you can’t help wanting to wear it just about every day, carrying a bit with you as you move about your business? 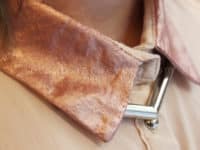 Well, rose gold jewelry can be expensive, so we were pleased to find several other ideas, like this lovely DIY rose gold accent collar project outlined step by step on Plan B. 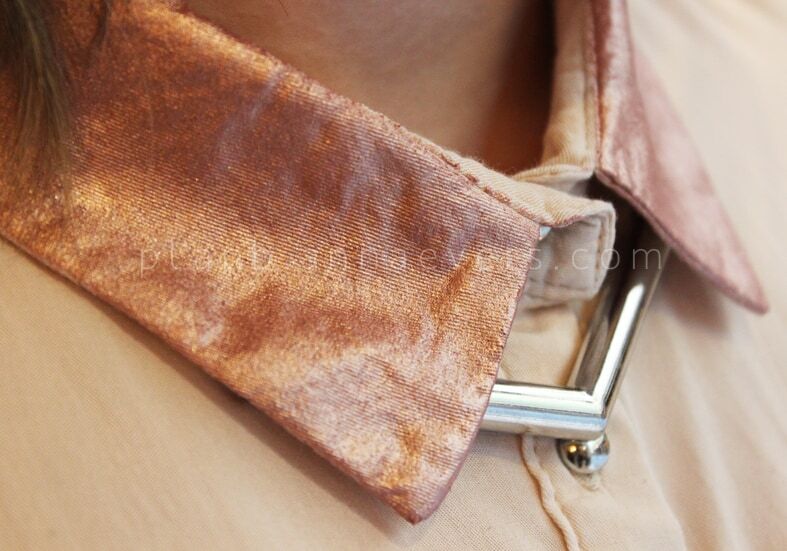 Maybe you actually love the idea of rose gold jewelry but you’d much rather make it than simply buying it in stores? 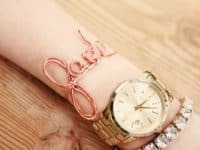 Well, just in case you’re still kind of a beginner at jewelry making but you’d still like to create something hands-on and awesome, here’s a fantastic rose gold wire lettering tutorial from These Days that shows you how to make bracelets! 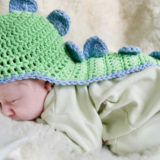 Perhaps you’re actually quite handy at crafting with all kinds of unconventional materials and you’ve been scrolling through our list hoping to find yourself something a little more challenging to try out? 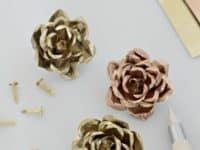 In that case, we’d definitely suggest taking a look at how The Happier Homemaker made these stunning rose gold metal roses with petals that layer just like the real thing. 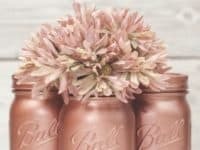 Are you actually scrolling through our list and thinking about how you still adore the metallic rose gold paint idea, but you’d prefer to make lots of little functional things rather than just painting some jars? 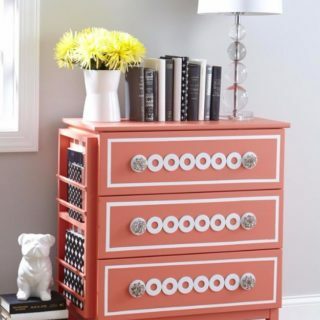 In that case, we’d definitely suggest taking a look at the way Laura Edwards used spray paint to evenly coat all kind of different office and school supplies to give their study or work space a bit more of a shimmer. 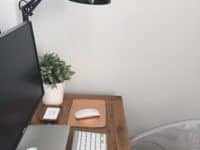 Are you actually feeling a little bit torn between techniques as you scroll through our list and wondering whether you might combine two different ideas into one? Well, no one ever said you had to choose, right? 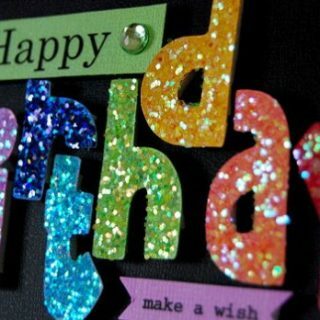 That’s . 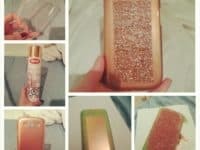 why we thought this rose gold phone case idea outlined in nice, simple steps on Eat, Pray, DIY was such a good one! 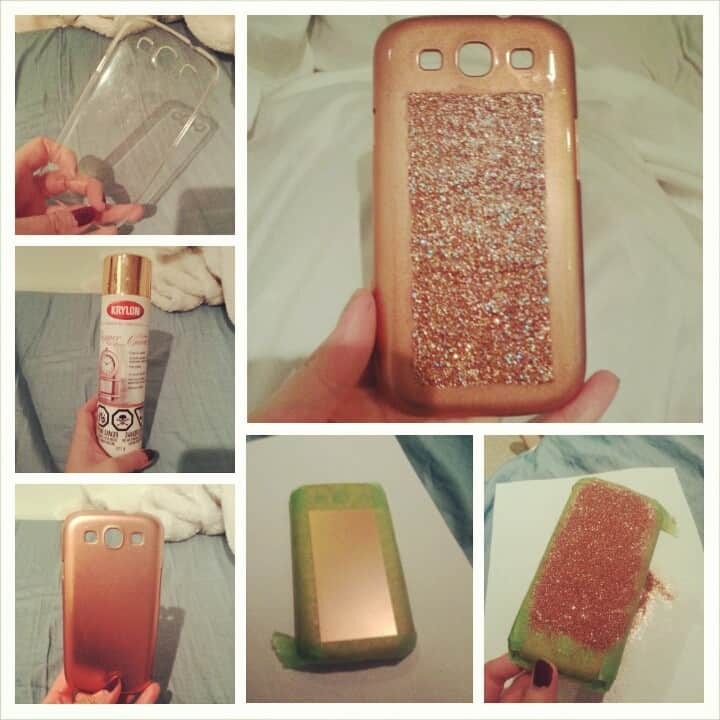 They show you how to transform a simple phone case using both metallic rose gold paint and glitter in the centre. 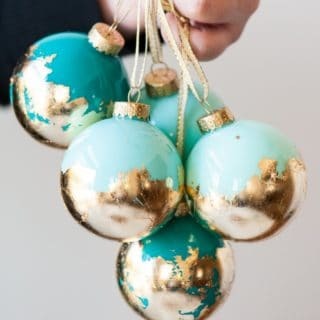 Perhaps you’re the kind of home decor lover who prefers to keep the elements you include of your favourite colours or finishes quite subtly, so they’re more like exciting pops than entire pieces? 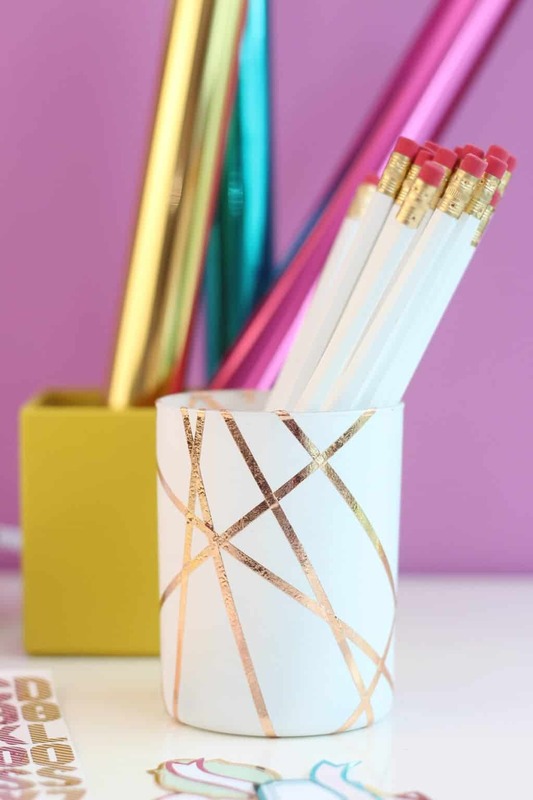 In that case, we’d definitely suggest taking a look at how Sarah Grace Glam made this decorative vase that combines rose gold and a bit of metallic paint from some pretty contrast. 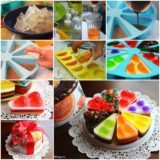 Are you actually looking for something much simpler than a lot of what you’ve seen so far? 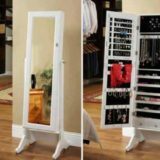 Perhaps you’d rather work with things that you might even already have lying around the house. 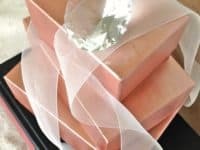 In that case, we’d absolutely suggest taking a look at how Pet Scribbles made these adorably decorative rose gold stacking boxes that are great for storing trinkets or even just setting on a side table for a bit of shining detail. 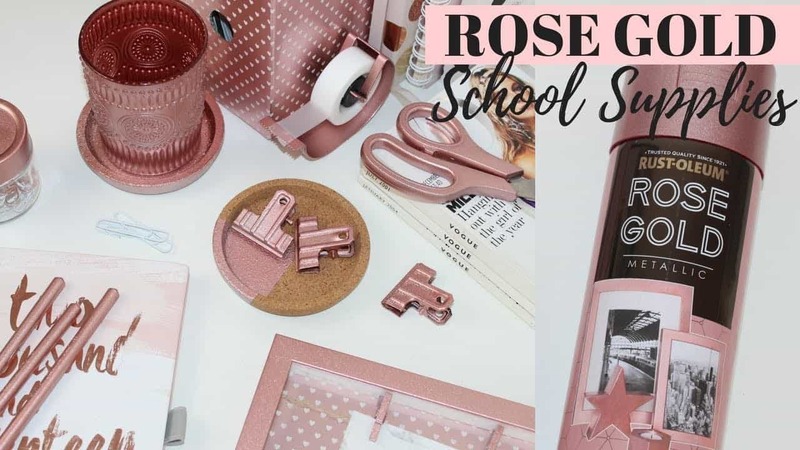 Did we actually really catch your attention when we started talking about the idea of using rose gold paint to overhaul your work desk or study space? 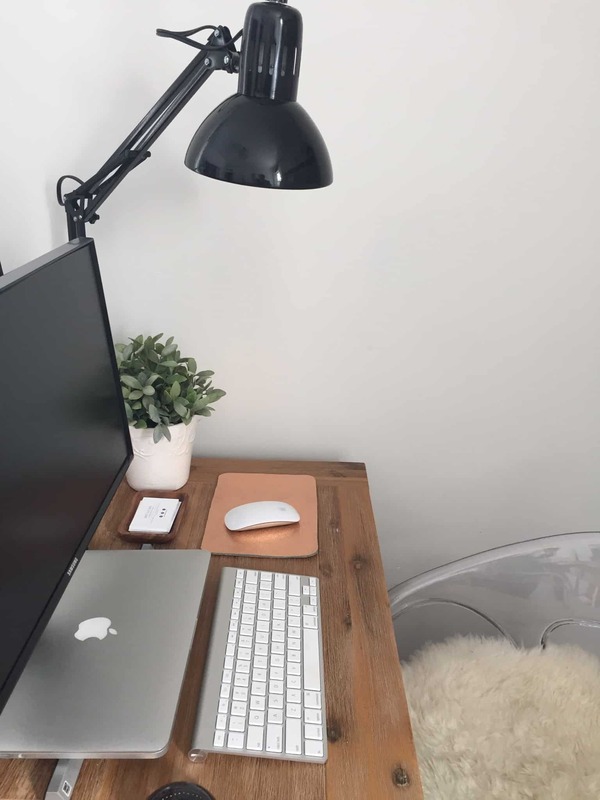 Well, just in case we didn’t get all the features that you had in mind when you started thinking about what you’d love to transform on your own desk, here’s a concept from Earnest Home Co.; a beautifully painted rose gold mouse pad! 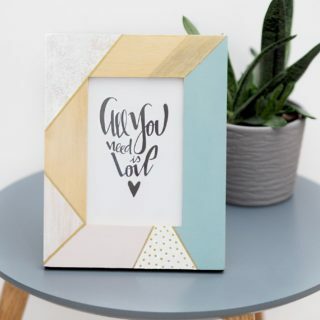 If you’re going to make yourself a bit of DIY home decor, would you rather make it a more diverse piece that you can use either inside or out? 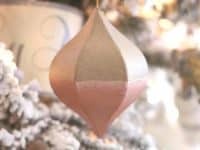 Well, if you’ve ever been a candle lover, we’d definitely suggest taking a look at how Scribbles From Emily made these fantastic rose gold and glass candle lanterns modelled after the ones sold by Anthropologie! 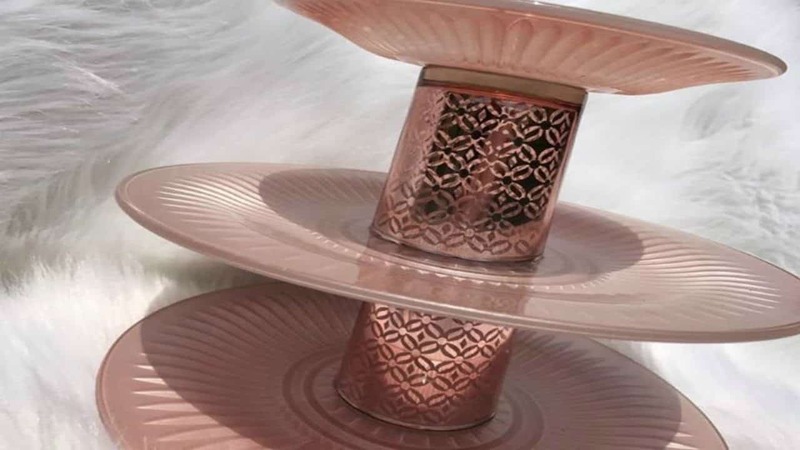 You might not see the need for something like this unless you’re an avid party or dinner host like we are, but we’re completely in loved with the idea of making our very own tiered serving tray! 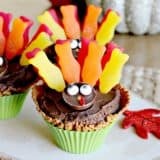 Even when we’re not using it to serve our friends and family food, we might use it to display trinkets or tea cups in our kitchen. 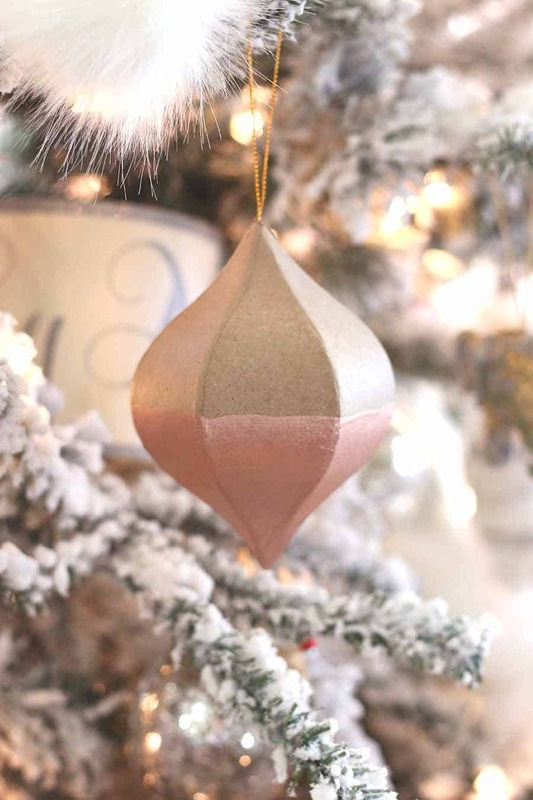 Find out how this lovely design was made using rose gold paint and supplies found at the local dollar store! Same Chick, Different Day has the full details for you. 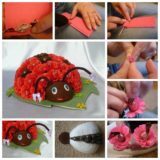 Do your primary DIY skills actually lie mostly in your ability to make stationery and work with paper and other slightly unconventional materials? 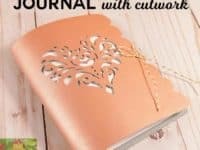 Then we think you might be rather interested in deed to see how Jennifer Maker made this stunning rose gold journal that features a lovely cut-out heart shape in its leather cover. 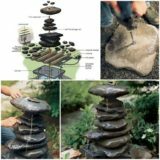 It’s easier to do than it looks!